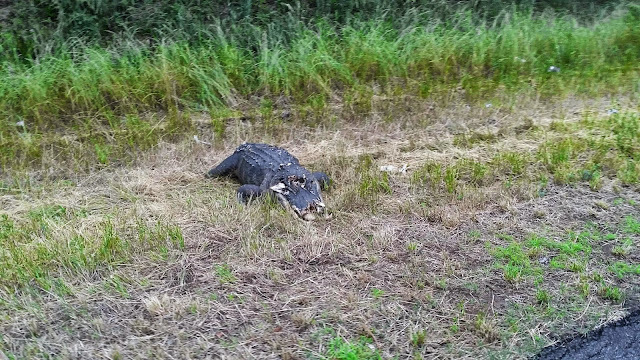 On my ride home last night I saw a dead Gator. At first I thought it was a tire but when I got closer I saw it was a gator. I could not tell if it was alive so I swerved to the middle of the room to make sure. When I was sure it was dead I decided to take a picture. 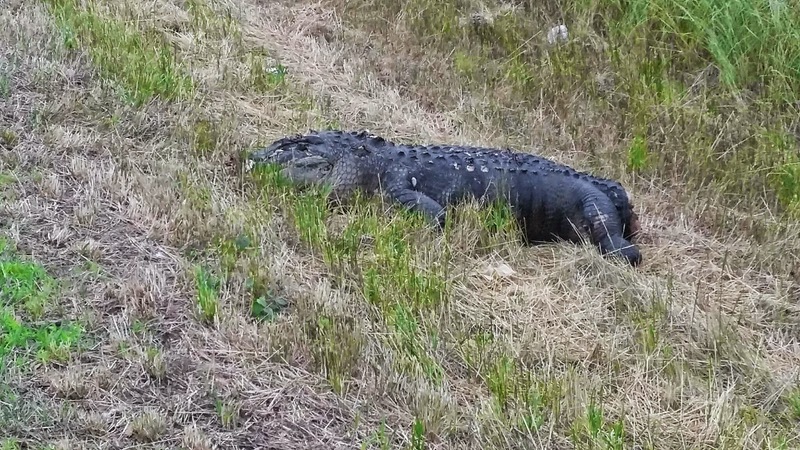 I see Gators often on my rides in southwest Georgia. Usually when I get my camera out they’re gone.